A recent nationwide poll conducted by the AA (The Automobile Association) has revealed that cereal is the UK’s favourite breakfast, followed by toast, a cooked breakfast, and porridge. 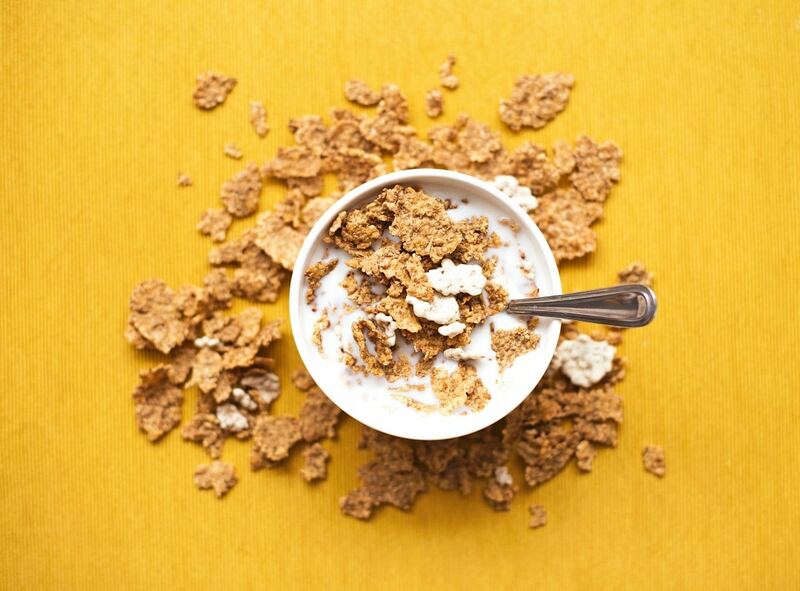 The global breakfast cereal market was valued at $37.44 billion in 2018 and it is projected to expand at a rate of 4.3 per cent from 2019 to 2025. 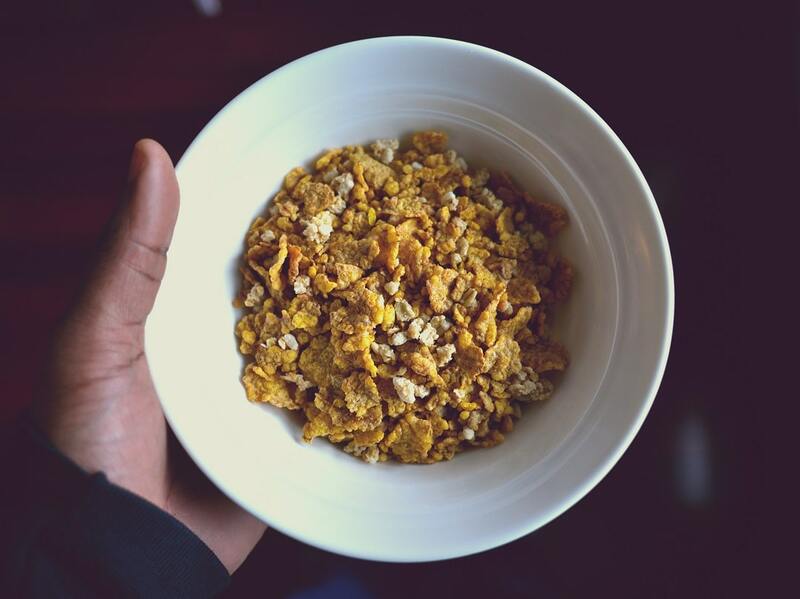 Cereal is extremely popular because it’s generally a convenient, healthy and balanced breakfast, especially if it’s made with whole grains, is low in sugar and is served with fresh fruit. Depending on the type you choose, it can have just as much protein as an egg, the same amount of fibre as porridge and almost as much calcium as a cup of yoghurt, once you add milk. Sweetened cereal continues to be the most popular choice (60 per cent), however cereals that are lower in sugar are on the rise. According to Mintel, many cereal consumers say that, compared to last year, they’re eating more grain-based cereal (49 per cent), muesli (40 per cent), granola (36 per cent) and high-fibre cereal (33 per cent). As well as being the UKs favourite breakfast food, cereal is also being consumed at other times. Recent research from Mintel has revealed that 43 per cent of cereal consumers eat cereal as a snack or dessert, rather than at breakfast. Many cafes have noted that cereal is being eaten outside of breakfast and have started to serve it throughout the day in fun and inventive ways that consumers can’t have at home. 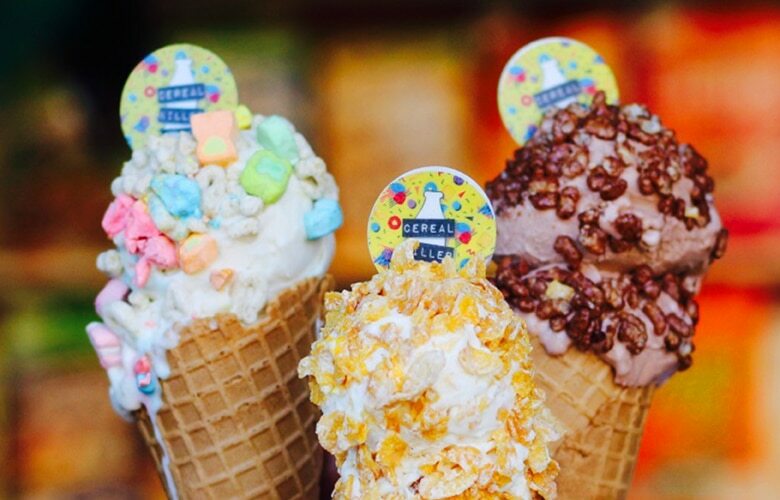 At the Cereal Killer Café in London you can try a range of bespoke cereal offerings, at all times of day, which combine cereals from around the world with sweets or chocolate and flavoured milk. 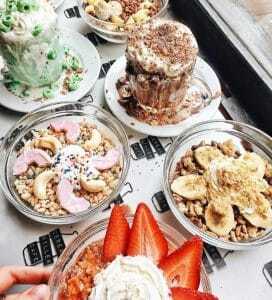 On the menu they have a variety of different options which include the famous Lovesick cereal which is a combination of puffed rice with freeze dried strawberries, meringue drops and strawberry flavoured milk. As well as cereal they also serve a range of cereal ice creams which are made from different cereal favourites, such as Coco Pops and Frosties. Cereal Killer Café are also now offering customers the opportunity to order through Deliveroo so they can enjoy a bespoke cereal offering from the comfort of their own home. The Deliveroo partnership originally started as a trial, however due to it being extremely popular they are now available permanently on Deliveroo. Typically, liquid based dishes like cereal with milk can be difficult to deliver to customers at home or to eat on-the-go, however with the right food packaging choice, there is no reason why consumers can’t enjoy a bowl of bespoke cereal in the comfort of their own home or on their travels. 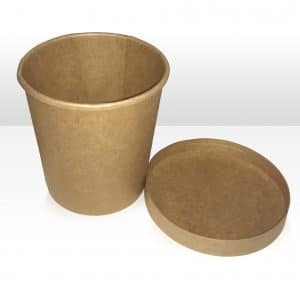 One food packaging choice that is great for serving a range of bespoke cereal for customers to enjoy on-the-go or at the comfort of their own home is the Kraft Food Containers and Lids from our supplier KeCo. 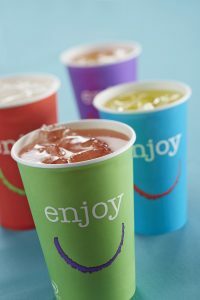 The containers and lids provide foodservice operators with a contemporary serving solution for consumers wanting to eat on-the-go. They are coated with PP, which makes them perfect for liquid-based dishes, and are available in 3 sizes; 8oz, 12oz and 16oz. If serving for your customer to enjoy from the comfort of their own home then it is also important to package the flavoured or unflavoured milk separately as it can make the cereal soggy. For serving the milk we recommend the Enjoy paper cup with a straw slot lid, from our supplier Huhtamaki. This will allow the consumer to choose whether they want to drink their milk separately, or mix it with their cereal. To find out more about our range of containers suitable for serving bespoke cereal, please contact Bunzl Catering Supplies branch today. Casual dining is continuing to grow in the UK as figures show visits are up 7 per cent.